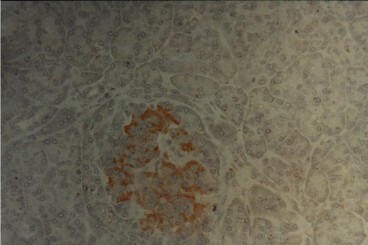 Relevance Pancreatic islet cells are clusters of endocrine cells scattered throughout the tissue of the pancreas that secrete inslulin and glucagon. 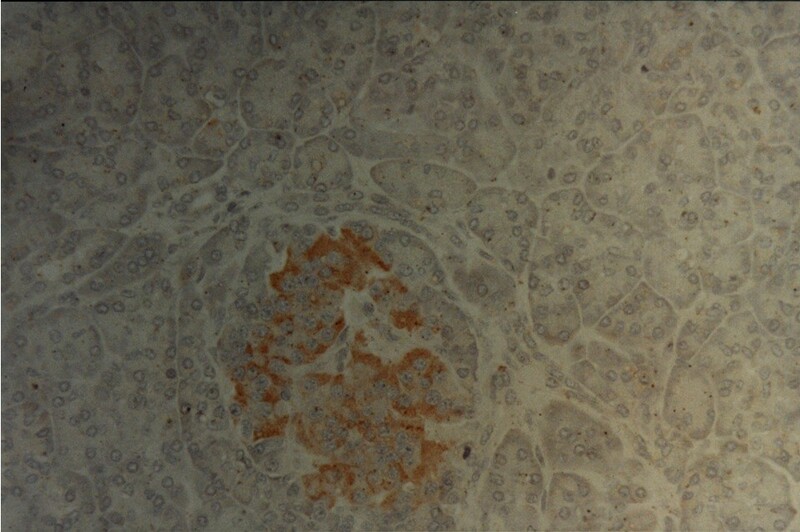 The antigen targeted by this antibody is highly specific for pancreatic islet cells and may be useful for the diagnosis of insulinoma. Ching et al. 1988. Gastroenterology. 95(1):137-42. PMID: 3163659. Identification and partial characterization of a new pancreatic cancer-related serum glycoprotein by sodium dodecyl sulfate-polyacrylamide gel electrophoresis and lectin blotting.